Section 2. The Central Committee shall prevent these names from being used by unauthorized persons, campaigns, or unaffiliated organizations. Endorsements of candidates or ballot measures shall require the approval of two-thirds of the Central Committee. Section 3. The County Party is an independent political organization that is voluntarily affiliated with the California Republican Party. The Central Committee may charter, recognize, support, or affiliate with other Republican organizations, or reverse such relationships, by a two-thirds vote. Section 4. The intent of these bylaws is to apply prospectively. (j) To advance the cause of good government at all levels. Section 2. The Central Committee shall have the power to further the objectives of the County Party in accordance with these Bylaws through all legal means, including the solicitation and expenditure of funds. Section 3. Individuals, officers, and other organizations have no power to make expenditures or incur liabilities on behalf of the County Party or the Central Committee without the prior authorization of the Central Committee. Unauthorized expenses and liabilities shall be the sole responsibility of the persons who incurred them. Section 4: The Central Committee shall not authorize any expenditure or contribution payable to any entity in which a Member or a Member’s spouse, parent, sibling, or child, has a financial interest or acts as a director or officer, except by the concurrence of two-thirds of those present and voting. Every Member of the Central Committee shall be obligated to disclose such potential conflicts of interest prior to the vote to authorize the expenditure of funds and shall abstain from voting when such a potential conflict exists. Where a payment is a reimbursement for a documented and verifiable expenditure that was properly authorized by the Central Committee, the Member to be reimbursed shall abstain from voting, but otherwise this section shall not apply. Section 1. All Republicans who are legally registered to vote in Sacramento County shall be members of the County Party. (a) Regular Members are those persons elected to the Central Committee by the voters in the presidential primary election for the Republican Party, or those persons elected by the Central Committee to fill their vacancies. Registered Republican candidates for U.S. Senate and statewide offices specified in Article 5 of the California Constitution, who have advanced to the general election unopposed or opposed by a non-Republican, if they reside in Sacramento County. ii. In the event where no Republican advances to the General Election, then the Republican obtaining the most votes in the certified Primary Election results would be deemed the Ex-Officio Member. iii. 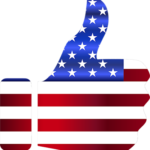 In the event there are two Republican candidates contesting the General Election and neither one of them is the current officeholder who is a Republican, then the current Republican officeholder remains the Ex- Officio Member until the results of the General Election are certified. iv. In the event where two Republican candidates advance to the General election and the current officeholder is a non-Republican, or if the office is vacant, neither candidate shall become an Ex-Officio Member until the results of the General Election are certified. Ex-Officio Members and, except as otherwise provided in section (c), their Alternates shall enjoy all the rights, privileges, and responsibilities of Regular Members. (c) Alternate Members (“Alternates”) shall be defined as those persons appointed as voting members to the Central Committee by Regular or Ex-Officio Members. Alternates shall enjoy all the rights, privileges, and responsibilities of Regular Members, although they may not vote at Central Committee meetings unless their appointers are absent. (d) Associate Members (“Associates”) shall be defined as non-voting members actively contributing to the Sacramento County Republican Party, unless rejected for appointment by a two-thirds vote. 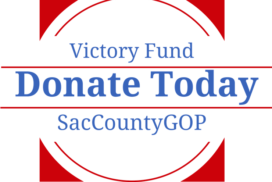 Associate members will be required to be registered Republicans residing in Sacramento County and must provide their voting address and contact information to the committee. The Presidents or Chairpersons of all chartered Republican Volunteer Organizations in Sacramento County shall be Associate Members upon written notification of assuming office to the Secretary of the Central Committee; Associate Members shall not have the right to make motions or vote at Central Committee Meetings. Section 3. Regular Members of the county central committee shall be elected by supervisor districts, and the number to be elected from any supervisor district shall be determined by the California Election Code. Section 4. Each Regular or Ex-Officio Member may appoint one Alternate to represent him or her and to vote in his or her absence. Each Alternate appointed by a Regular Member must reside in the same Supervisorial District as the appointer. All Alternates must be members of the County Party. Alternates must be appointed in writing. Alternates shall enjoy all the rights, privileges, and responsibilities of Regular Members, except that they shall have no right to vote at Central Committee meetings except when their appointers are absent. Alternates may be removed in writing at any time by their appointers. When an Alternate is replaced or removed, or when the appointer departs the Central Committee, the Alternate shall thereby become an Associate. Alternates removed by a vote of the Central Committee shall not become Associates and they shall not be eligible for re-appointment during the remainder of the term of office. Section 5. Each Regular Member and Ex-Officio Member shall be entitled to appoint registered Republicans as Associates. Except as otherwise provided in Article III, Section 2(d), Associates shall enjoy all the rights, privileges, and responsibilities of Regular Members. Appointments shall be made in writing. There shall be no limit as to the number of Associates and they may continue in office from term to term, without the need for re-appointment, so long as their addresses are current. Section 6. While the Central Committee is a volunteer organization, no Member shall directly use membership in the Central Committee for personal financial gain. Just as all publicly elected officials must strictly adhere to common sense conflict of interest guidelines in their public deliberations and decisions, all Central Committee Members must disclose to the Central Committee any possible conflict of interest, ask for a majority ruling from the Central Committee as to whether a conflict of interest exists, and if the majority votes that there is a conflict then said Member must recuse himself/herself from all discussions, deliberations and voting on the matter or related matters. Section 1. Any Member may be removed for bad conduct or incapacitation by a two-thirds vote of the Central Committee. Prior to the vote, the individual in jeopardy of removal shall receive fourteen days’ notice of the date, time, place, and purpose of the meeting at which the vote is scheduled to take place. If present at that meeting, the individual shall have the right to hear and respond to the charges prior to the vote. Individuals removed from the Central Committee through this procedure shall not be eligible for appointment to positions as Alternates or Associates during the remainder of the term. (b) Filing a lawsuit or voluntarily assisting with a lawsuit against the County Party, the Central Committee, or any officer or agent of the Central Committee, unless that Member first addressed the grievances to the Central Committee and participated in good faith arbitration. (c) Failing to timely surrender all critical records maintained by that Member in his/her capacity as an officer of the Central Committee to the Chairperson or other appropriate Member of the Executive Committee, including, but not limited to: all financial records, website, social media or other digital account usernames and passwords including domain ownership, minutes of all Regular and Special meetings, correspondence (be it traditional or via email) sent or received by or on behalf of the Central Committee, etc. (d) Except at a properly noticed endorsement meeting or Regular or Special Meeting of the Central Committee or the Executive Committee, publicly advocating against the support for Republican elected officials with districts wholly or partially within Sacramento County, provided that such actions took place within the Member’s and the Official’s term of office and the Member did so while identifying him/herself as a member of the Central Committee, making unauthorized statements on behalf of the Central Committee or utilizing any insignia or property of the Central Committee. Section 3. Any Regular Member shall be deemed to have resigned by failing to attend four Central Committee meetings in any twelve-month period. Where attendance is disputed, absences shall be determined according to the approved minutes, if any. With prior notice to the Chair or Secretary, a Member may have one or more excused absences due a personal or family medical emergency. Any Regular Member who takes residence in a Supervisorial District other than the one from which he or she was elected shall be deemed to have resigned. Alternates and those Ex-Officio Members who are required to reside in Sacramento County shall be deemed to have resigned by taking residence outside Sacramento County. Any Member of the Central Committee may also resign by submitting a letter of resignation or by publicly resigning at a Central Committee meeting. All resignations shall be accepted automatically without any vote by the Central Committee. Section 4. When a vacancy occurs among the Regular Members (whether by death, removal, resignation, or attendance), the Chair or presiding officer shall provide notice of the vacancy during a regular Central Committee meeting and call for an election to fill the vacancy at the next regular Central Committee meeting. In such elections, and in all other elections under these Bylaws, if no candidate receives a majority of the votes cast on the first ballot, then a run-off election shall be held immediately between the two candidates who received the most votes. Vacancies may be filled at the Organizing Meeting by a majority vote. Section 1. The elected officers of the County Party shall be: Chairperson (herein also known as the Chair), First Vice Chair, Second Vice Chair, Treasurer, and Secretary. All Members shall be eligible to serve as elected officers. The elected officers shall be elected at the organizing meeting. Unless unopposed, Officers shall be elected by a majority of voting Members of the Central Committee present. Their term of office shall begin immediately upon their election. Section 2. The Chair may appoint registered Republicans to appointed positions such as Parliamentarian, Sergeant-at-Arms, General Counsel, and whatever other offices and committee chairmanships might be deemed necessary, subject to confirmation by a majority of the Central Committee. Section 3. The elected and appointed officers for each four-year term shall serve at the pleasure of the Central Committee until their successors are elected or appointed, or until removal, resignation, or disqualification. They may be removed by majority vote of the Central Committee at any meeting, provided that they have received fourteen days’ notice of the date, time, place, and purpose of the meeting at which the vote to remove them is scheduled to take place. Section 4. In the event of a vacancy in any elected office, the Chair shall declare a vacancy and conduct an election to fill the vacancy at a Central Committee meeting to be held at least seven days after the vacancy was declared. A vacancy in an appointed office may be filled by the Chair, subject to Central Committee confirmation. Section 1. The Chair shall preside at all meetings of the Central Committee and the Executive Committee. He or she shall be the chief executive officer and shall exercise general supervision over the County Party’s activities, staff, agents, and officers. He or she shall coordinate the Central Committee’s activities with other Republican organizations and shall represent the County Party in its relationship with the California Republican Party. The Chair shall appoint all committees and appointed officers, subject to the approval of the Central Committee. He or she shall hire and fire all paid staff, subject to Executive Committee approval. Section 2. The First Vice Chair shall preside at all meetings of the Central Committee and the Executive Committee if the Chair is absent or unable to preside. The Second Vice Chair shall preside at these meetings if the Chair and First Vice Chair are simultaneously absent or unable to preside. Both Vice Chairs shall assist the Chair in his or her executive duties, as assigned by the Chair or the Central Committee. Section 3. The Treasurer shall serve as the chief financial officer of the County Party. He or she shall collect, record, and deposit all funds donated or paid to the County Party. He or she shall maintain records of all financial transactions and shall report all expenditures and receipts to the Central Committee and Executive Committee at each meeting. If requested by the Central Committee, the Treasurer shall prepare a budget and shall be responsible for its administration. He or she shall also be responsible for fulfilling the reporting requirements of the federal and state campaign finance laws. The Treasurer shall be responsible for the safekeeping of all supplies and effects of the Central Committee and shall cause an inventory of the same to be a part of the Central Committee records. The Treasurer shall be responsible for making the financial records of the Central Committee available by arrangement within seven days of a request to review by any Member of the Central Committee. The Executive Committee shall cause a review of the books and accounts to be made by a Certified Public Accountant or, by a Financial Review Committee at least annually and at any time a new Treasurer is elected and shall present the report of said review of the accounts to the members of the Central Committee for approval. Section 4. The Secretary shall record the minutes at Central Committee and Executive Committee meetings. He or she shall keep an accurate record of the attendance of all Members. The Secretary shall serve as custodian of the official records of the Central Committee and shall maintain accurate copies of the minutes of past meetings, these Bylaws, resolutions, and the current Membership roster. The Secretary shall conduct or supervise all necessary correspondence of the County Party, and shall send out the call to meetings of the Central Committee and the Executive Committee. Unless another individual is assigned by the Central Committee, the Secretary shall act as Historian by collecting and maintaining newspaper articles, photographs, and other records of the activities of the County Party. Section 5. The duties of the appointed officers, if any, shall be established by the Central Committee at the time that their appointments are approved. The compensation and responsibilities of paid staff members shall be set by the Executive Committee. Section 1. Regular meetings of the Central Committee shall be held once each calendar month at 7:00 p.m. on the second Wednesday of each month unless another date and time was selected by the Central Committee at a previous meeting. The Central Committee shall select the meeting site. Any regular meeting may be dispensed with by a two-thirds vote at a previous meeting. Seven days’ notice of regular meetings shall be given to all Members by the Secretary. For regular meetings held at a standard time and place, the Secretary’s failure to provide notice shall not invalidate the meeting. Section 2. Special meetings of the Central Committee may be called by the Executive Committee, or by a majority of the Regular Members acting outside a meeting. The Members calling the meeting shall provide seven days’ notice to all Members of the date, time, place, and purpose of the meeting. Section 3. For all matters requiring notice under these Bylaws, notice may be provided by public announcement at a Central Committee meeting, hand delivery, delivery by first-class mail, e- mail, fax, or telephone notification. Members shall have the right to waive notice, and physical appearance at a particular meeting shall always constitute a waiver of notice for that meeting. Section 4. Quorum for the transaction of business at Central Committee meetings shall be attained by the presence of a majority of the Regular Members, represented either in person or by Alternates. Once attained, quorum shall remain in effect for the duration of each meeting. Section 5. Each Regular or Ex-Officio Member present shall have exactly one vote. Alternates shall not vote unless their appointers are absent. Section 6. At all meetings, Robert’s Rules of Order, Newly Revised shall serve as the parliamentary authority for disputed matters not specifically covered by these Bylaws. The Central Committee and its committees may adopt special rules and procedures that conform to these Bylaws. Section 1. The Central Committee may create or abolish committees by majority vote at any meeting. The purpose of each committee and the scope of its authority shall be established by the Central Committee at the time of its creation, although additional responsibilities may be assigned at any meeting. Section 2. The chairperson, vice chairperson, and members of each Committee shall be appointed by the Chair, subject to the approval of the majority of the Central Committee. Section 3. Each committee may choose to form subcommittees to perform specific functions. All committees and subcommittees may adopt special rules and procedures to govern their meetings and activities, subject to the right of the Central Committee to modify these rules and procedures at any time. Section 1. The Executive Committee shall consist of the Chair, First Vice Chair, Second Vice Chair, Treasurer, and Secretary. The Chair may add officers to the Executive Committee with Central Committee approval. Section 2. Meetings of the Executive Committee shall be called by the Chair or by a majority of the Executive Committee members. The Chair, or whoever calls the meeting, shall provide at least four days’ notice as to the time, place, and purpose of the meeting. The call to any Central Committee meeting shall serve as sufficient notice for any Executive Committee meeting held immediately after the adjournment of the Central Committee meeting. Members of the Executive Committee shall have the right to waive notice of meetings, and physical appearance at a particular meeting shall constitute a waiver of notice for that meeting. Section 3. Quorum at meetings of the Executive Committee shall be attained by the participation of a majority of the members. Proxy voting shall not be permitted, nor shall Alternates be permitted to vote on behalf of other members of the Executive Committee. Nothing in these Bylaws shall be construed to prohibit meetings of the Executive Committee by teleconference or by electronic means that permit two-way communication. Section 4. The Executive Committee shall manage, direct and coordinate the affairs of the Central Committee and the County Party, shall approve or reject the Chair’s recommendations on matters concerning paid staff, and shall act on urgent matters that cannot await presentation at the next scheduled meeting of the Central Committee. Actions of the Executive Committee may be reversed by the Central Committee. Section 5. Unless a separate Resolutions Committee is established by the Central Committee, the Executive Committee shall function as the Resolutions Committee. The Executive Committee (or the Resolutions Committee, if established) shall consider all resolutions submitted by Members of the Central Committee. Resolutions approved by this Committee shall require a majority vote for adoption by the Central Committee and they need no prior notice. Resolutions that are not approved by this Committee shall require a two-thirds vote and seven days’ notice to Members. Resolutions involving the endorsement of a candidate or ballot measure shall require a two-thirds vote of the Central Committee. Section 6. The Executive Committee shall not authorize or allow any expenditure or contribution payable to any member of the Executive Committee, or to such member’s spouse, parent, sibling, or child, or to any entity in which a member of the Executive Committee or such member’s spouse, parent, sibling, or child, has a financial interest, or acts as a director or officer. This section shall not apply to expenditures and contributions previously authorized by the Central Committee, nor shall this section apply to reimbursements for documented and verifiable expenses incurred pursuant to expenditures that were previously authorized by the Central Committee. (c) The expenditure is a campaign contribution made with funds that have already been received by the Central Committee, where such a contribution is legal, would not violate standing rules and procedures, and would not contradict prior endorsements made by the Central Committee. Section 1. The term of office for Regular Members who were elected in the presidential primary election shall commence on the date of the quadrennial organizing meeting. The term of office for all other Regular Members shall commence on the dates they are elected to fill vacancies. Alternates and Associates shall take office on the dates they are appointed. Ex-Officio Members shall take office immediately upon the official certification of their nominations. Section 2. The term of office for all Regular Members and Alternates shall end at the opening of the organizing meeting. The term of office for Ex-Officio Members shall end on the date their successors’ nominations are certified. Section 3. The organizing meeting shall be held in January and it shall be called by the Executive Committee in December following the presidential primary election. The Executive Committee shall provide at least seven days’ notice to all in-coming Regular Members and Ex- Officio Members of the date, time, and place of the meeting. If the Executive Committee has failed to issue the notice for the organizing meeting by the end of the calendar year, then a majority of the incoming Regular Members shall call the meeting and provide notice. (e) Election of a Temporary Chair; the Temporary Chair may appoint a parliamentarian. (i) Consider the appointment of the Financial Review Committee for transfer of all official records; financial records; leases and contracts; member, volunteer and donor data; login for website platform and hosting account, social media sites, emails, domain registration, and other digital accounts including usernames and passwords; keys or pass codes to the Central Committee office and any other locations or property of the Central Committee. Section 1. These Bylaws may be amended by a two-thirds vote of the Members voting at any meeting of the Central Committee. Section 2. No amendment may be approved unless thirty (30) days’ written notice of the text of the proposed amendment was delivered to all Regular and Ex-Officio Members of the Central Committee. Only germane amendments may be accepted by the Central Committee without providing additional notice. Members shall have the right to waive notice of proposed amendments, and those present at a meeting who fail to object to insufficient notice prior to the vote to adopt an amendment shall be deemed to have waived notice.